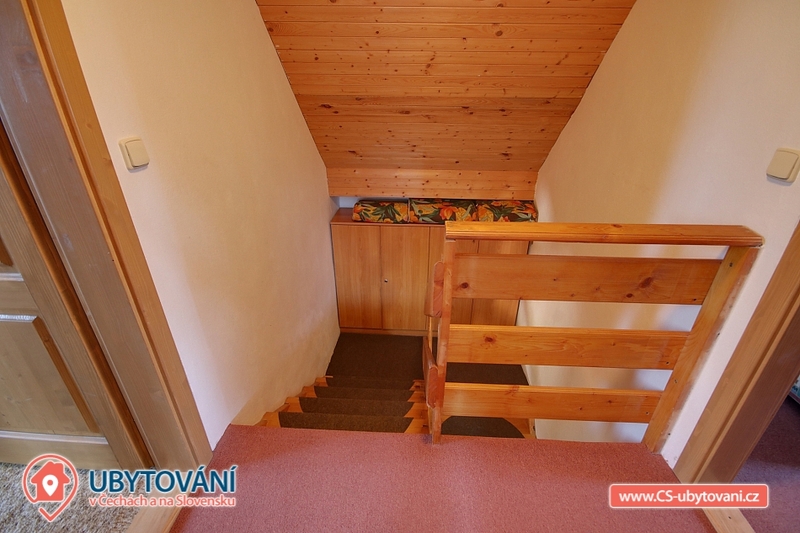 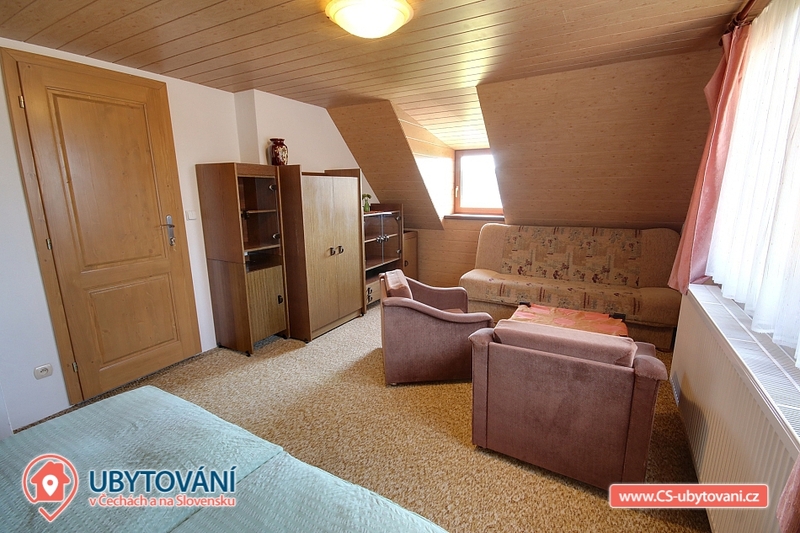 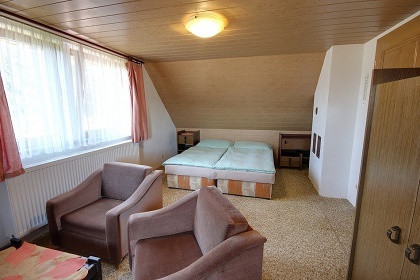 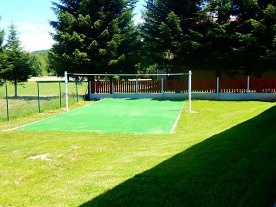 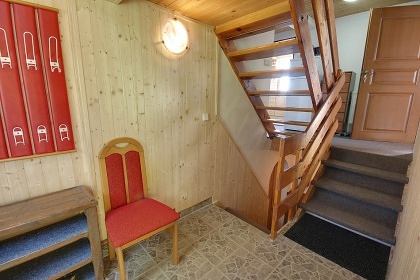 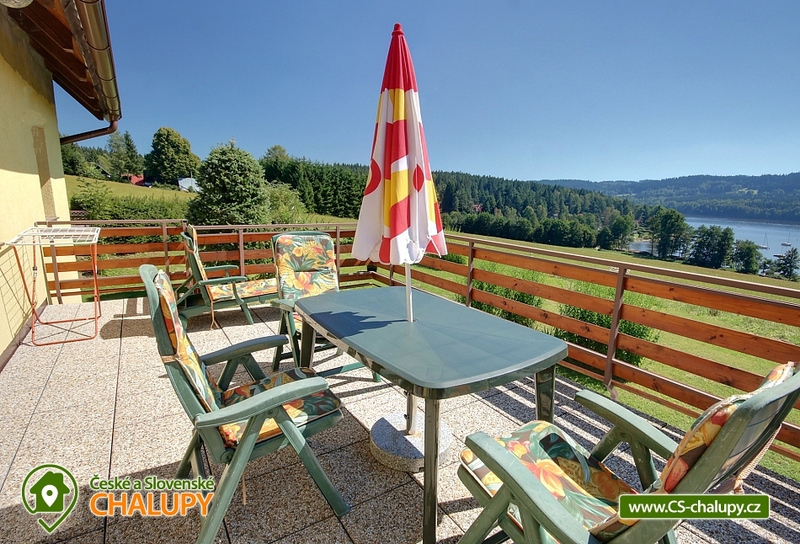 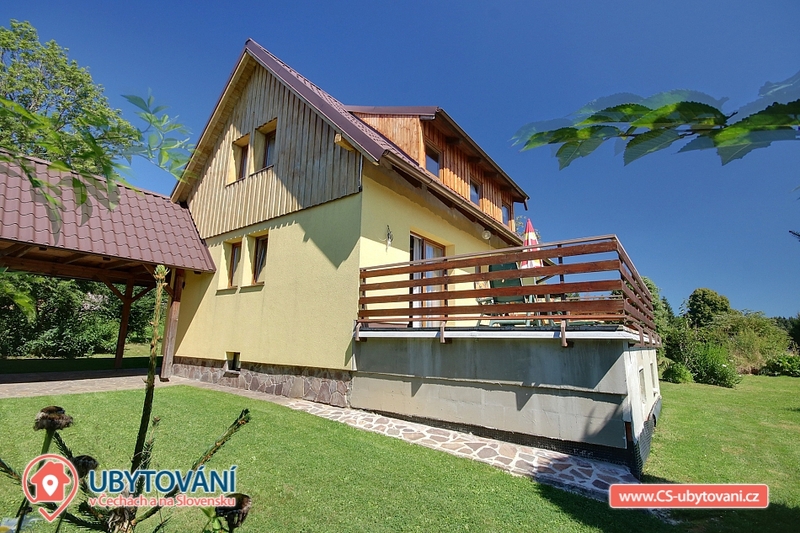 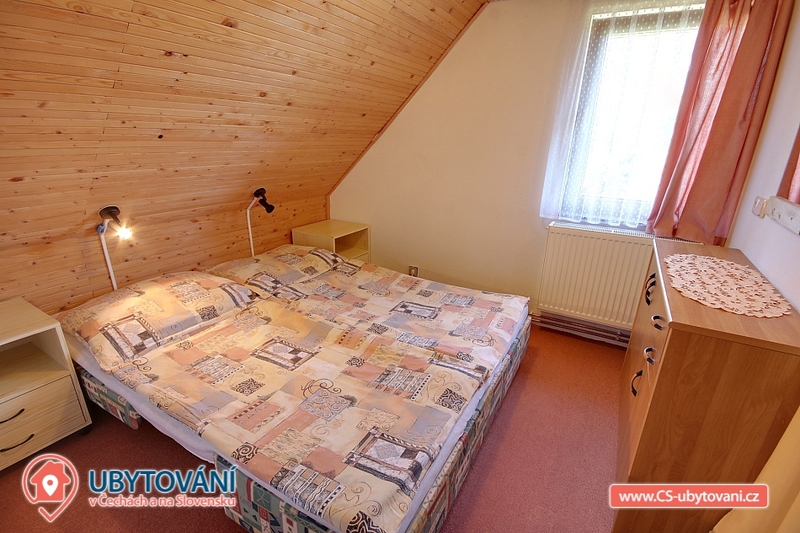 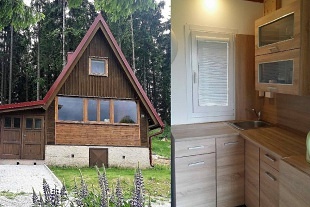 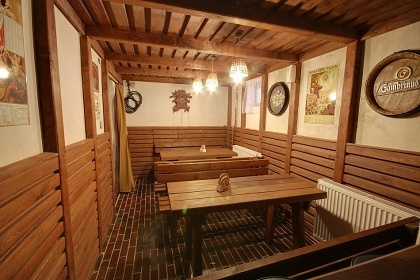 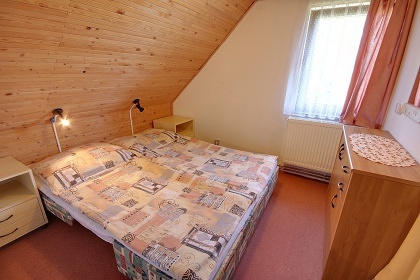 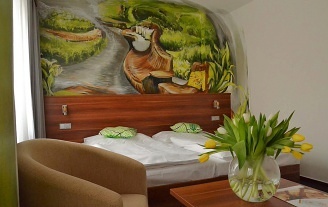 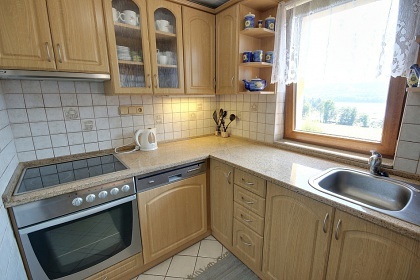 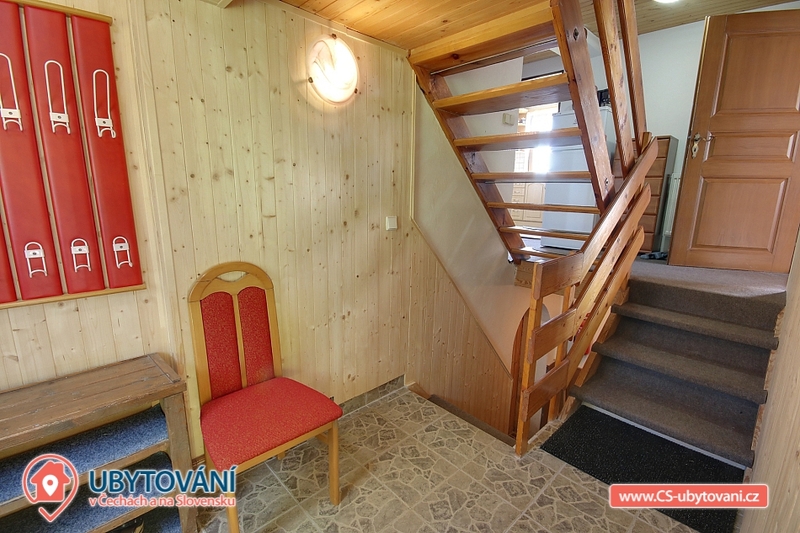 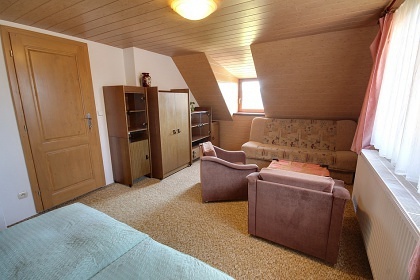 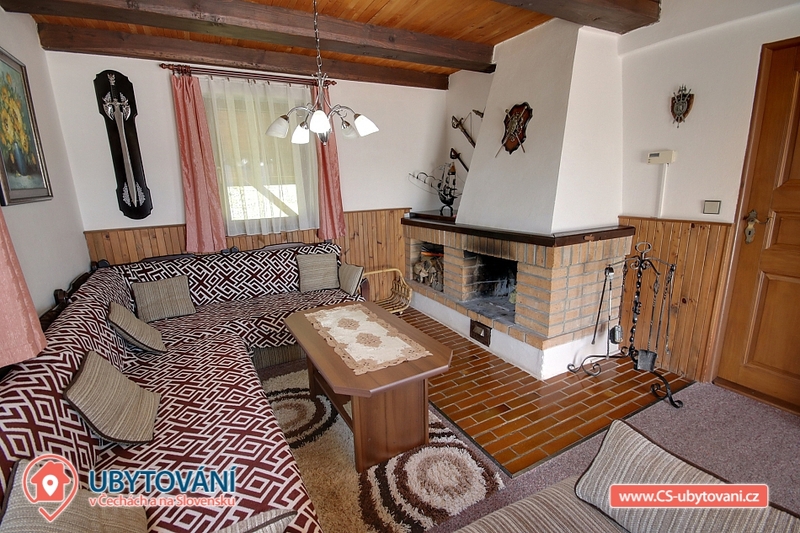 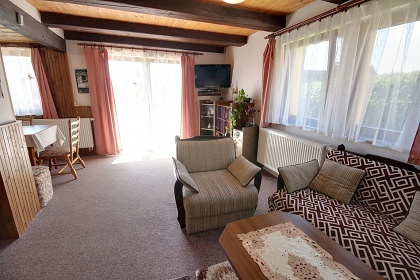 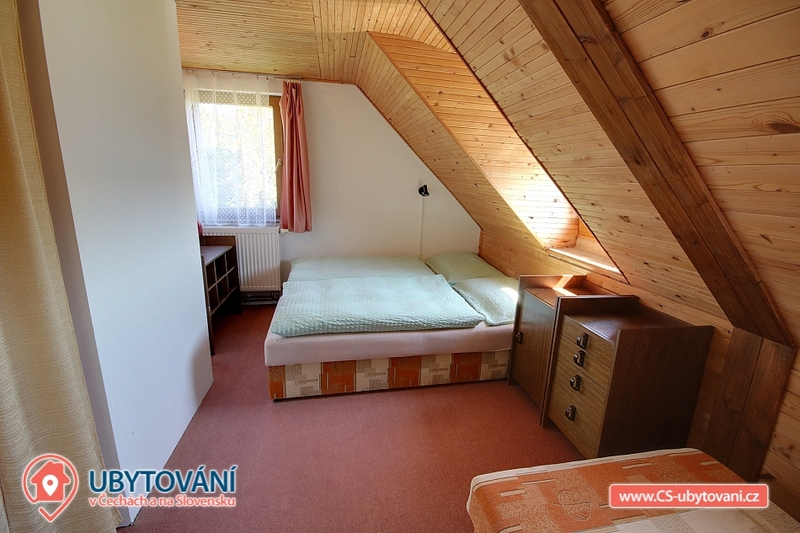 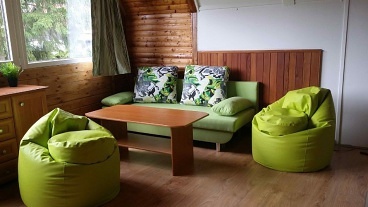 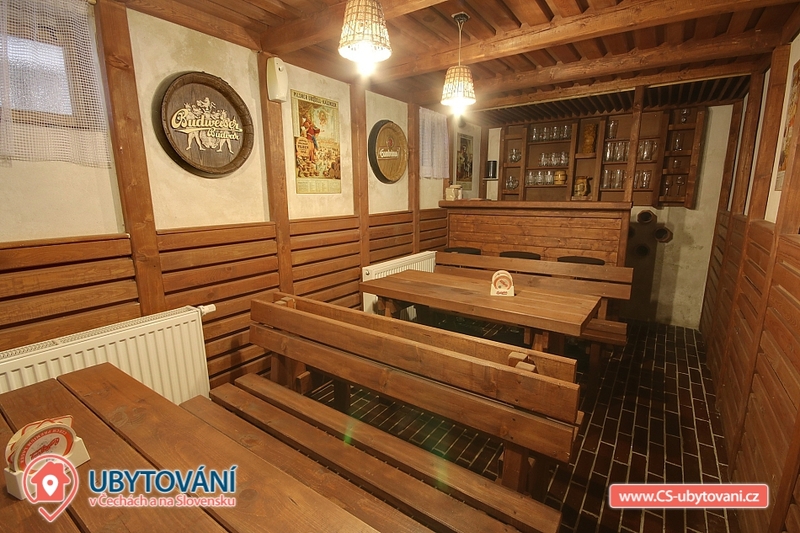 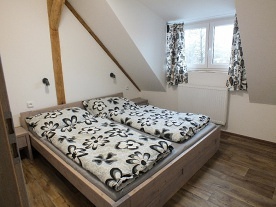 Rent cottage Frymburk - accommodation Lipno. 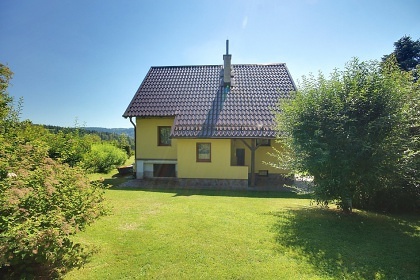 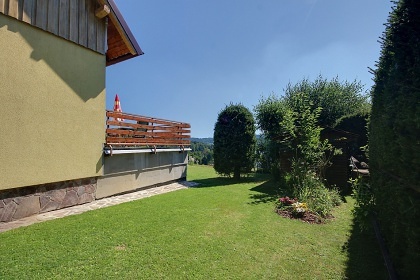 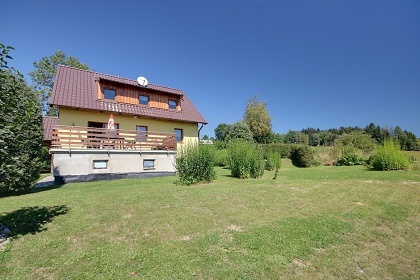 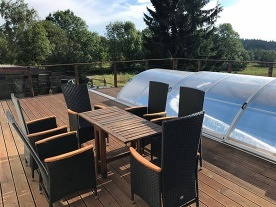 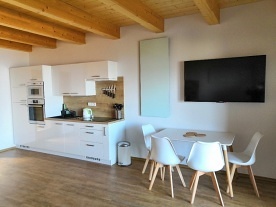 Comfortable holiday cottage overlooking Lipno Lake (Lipno 200 m away from the cottage), district of Český Krumlov. 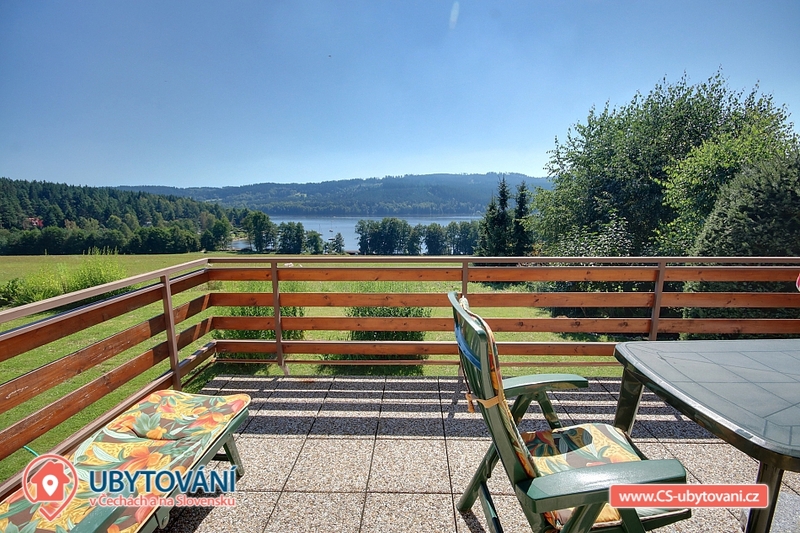 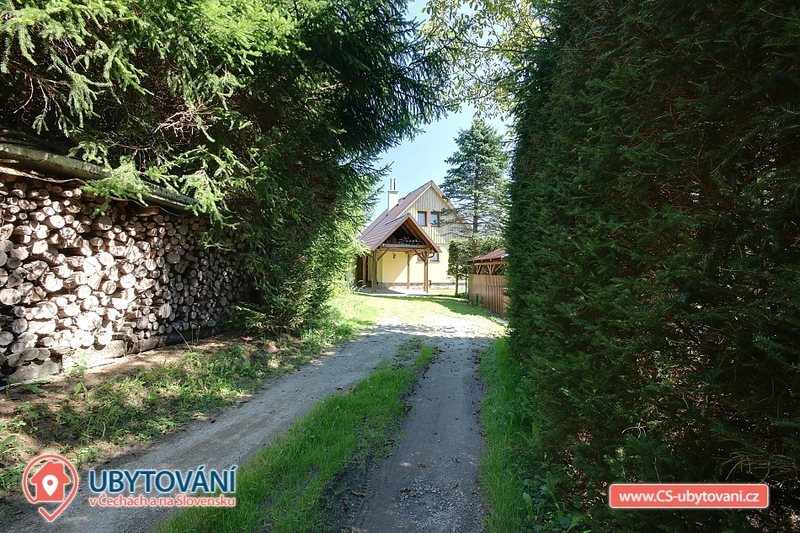 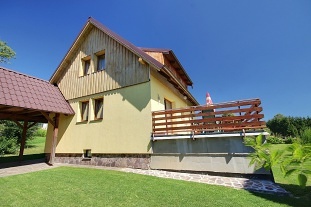 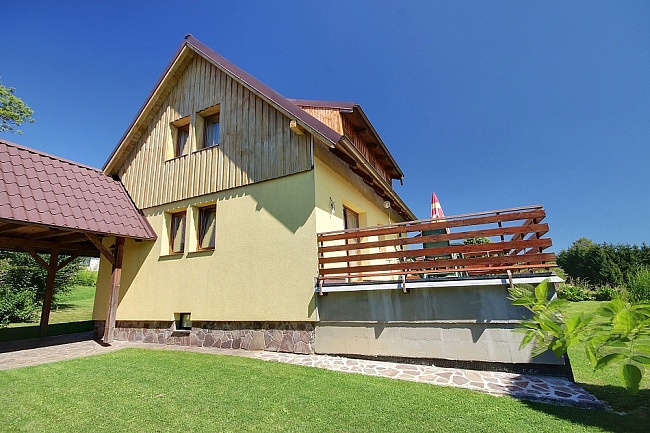 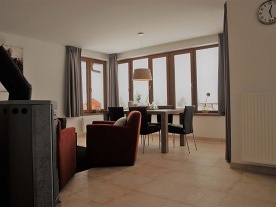 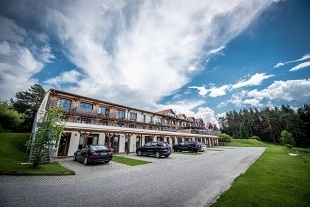 Attractive location with excellent conditions for hiking, cycling and all water activities in Lipno. 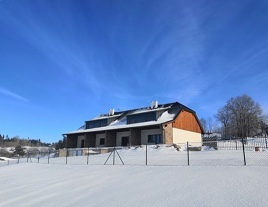 In winter there is available cross-country skiing and downhill skiing. 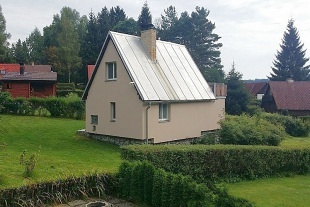 Obec Kovářov is 6 km away, Vyšší Brod 24 km and Český Krumlov 25 km. 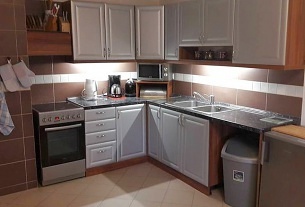 Inside the cottage there is a separate kitchen with electric cooker, ceramic hob, fridge with freezer box, microwave and dishwasher. 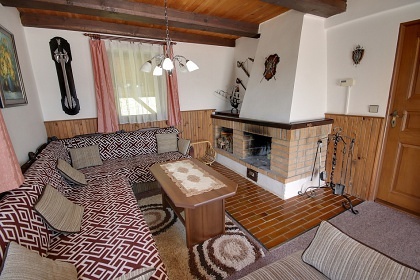 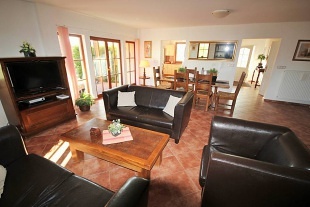 The living room has a dining area, an LCD TV with DVD player, a sofa and a fireplace. From the living room there is an entrance to the terrace, which offers beautiful views of Lake Lipno. Upstairs there are three bedrooms. 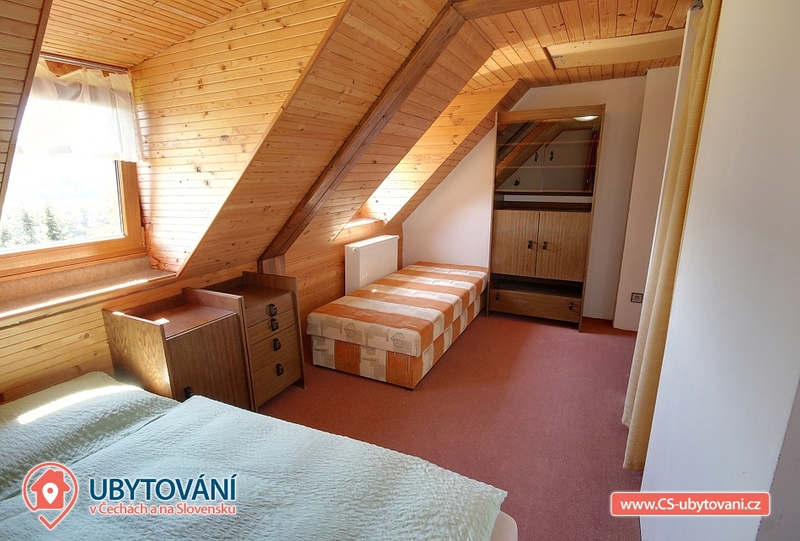 The first bedroom has a double bed, the second bedroom also has a double bed, in the third bedroom is a double bed and a sofa. 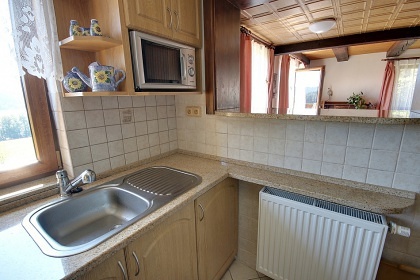 Sanitary facilities include a bathroom with shower and toilet. 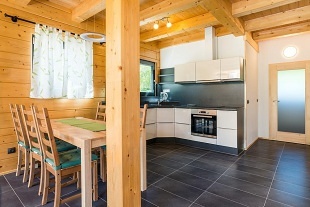 Heating is provided by alternative water-air heating (heat pump) or wood fireplace. 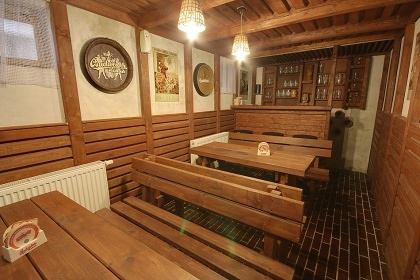 There is a small domestic wine bar with a bar in the cellar. 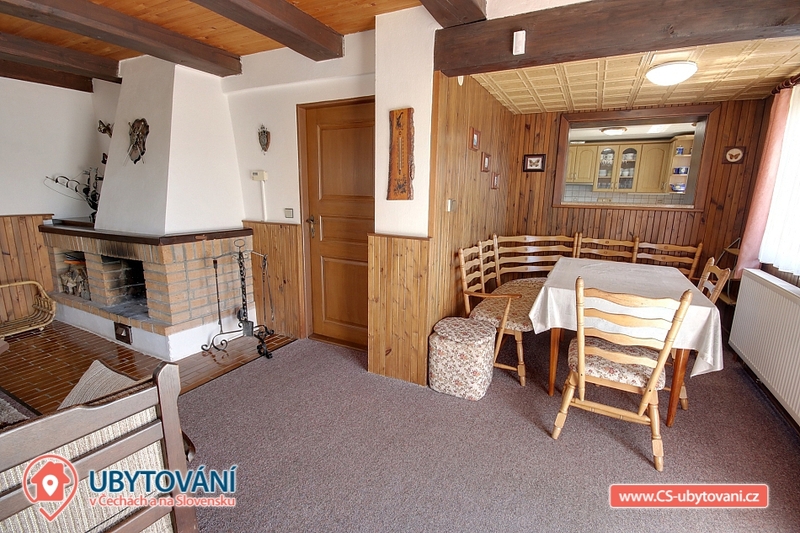 The cottage has a terrace, a fireplace with a seating area and a grill. 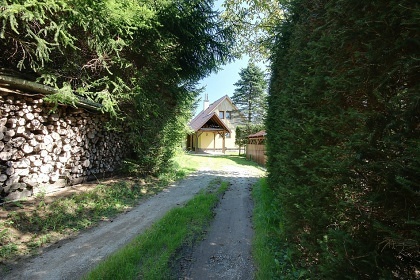 Parking is possible at the cottage. The landlord does not live in the building. The picturesque southern Bohemian recreation town of Frymburk lies in the Šumava foothills at an altitude of 742 m. It is unique in its exceptional location - it is situated on the peninsula of the left bank of the Lipno water reservoir. 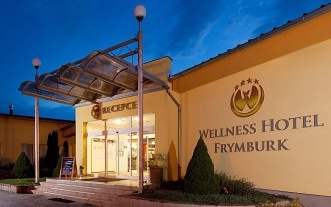 Beautiful nature, clean lake, lots of tourist attractions, quality infrastructure and high standard of accommodation, catering and wellness services make Frymburk a popular year-round tourist center. 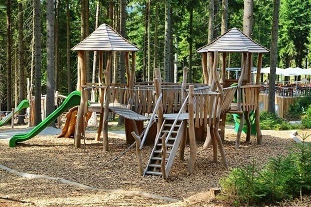 Athletes, families with children and seniors will come to theirs. 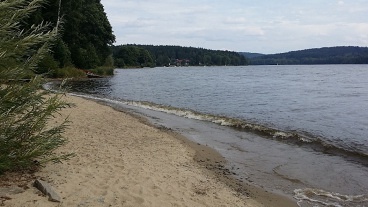 A popular cycle path called the "Lake Trail", which tracks the left bank of the Lipno dam, is a small town and is suitable not only for cycling but also for in-line skating. 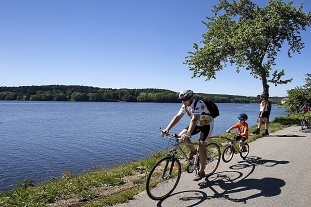 There is an extensive network of hiking and cycling trails nearby. 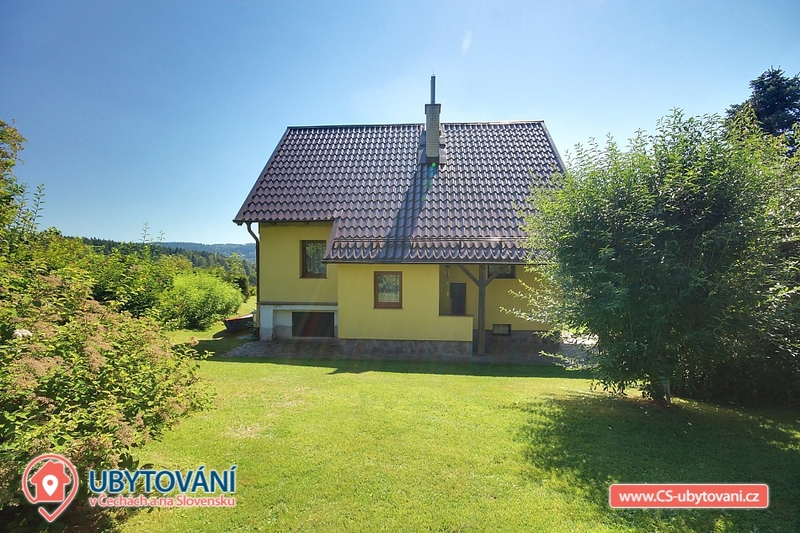 Above Frymburk, the popular Marta hill (863 m above sea level) with a chapel on the top of which you will have a Lipno lake and the surrounding Šumava countryside, literally on the palm of your hand, and even in the Alps you will see in the bright weather. 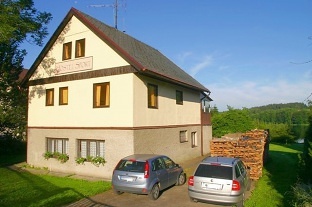 You can also see the Frymburk from the river in 1894. 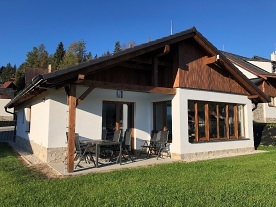 You can also see Frymburk from the cruise by cruise, yacht or sailboat or from the ferry that will take the tourists and their possible means of transport to the other bank to the village Frýdava, where the protected landscape Šumava area. 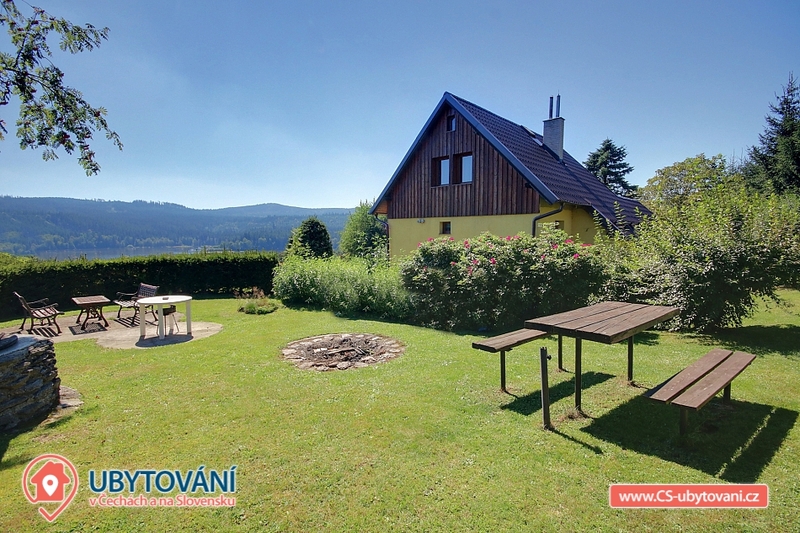 From Frýdek, it is only a few kilometers to the sought-after tourist destination, which is the ruins of Vítkův Hrádek, which is situated at an altitude of 1035 meters. 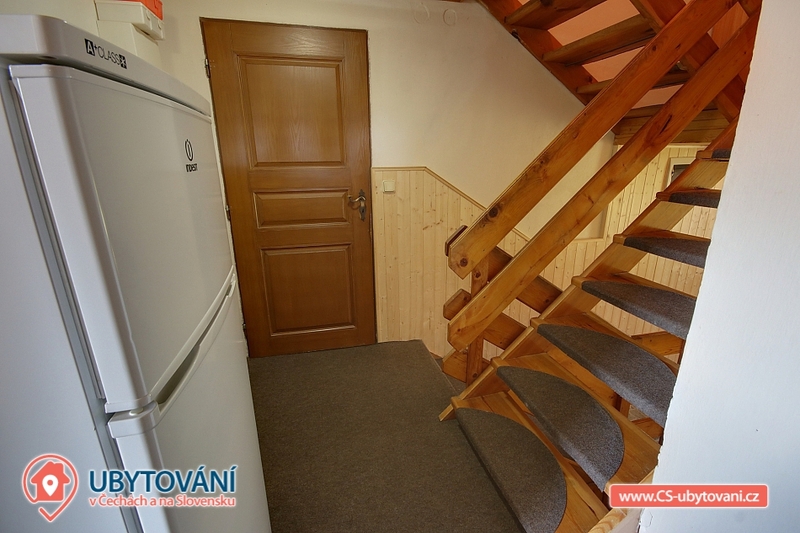 In its tower is a viewing platform, after which a beautiful view of the entire Lipno, Šumava and Novohradské hory opens before you. 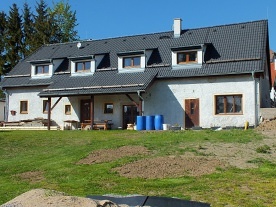 Additional information Léto i Mimosezóna pouze týdenní pobyty sobota-sobota. 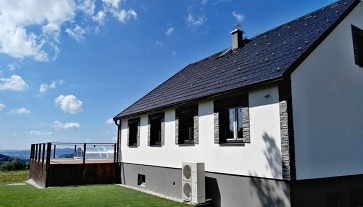 Additional information Elektrická energie, dřevo na otop a lůžkoviny jsou poskytovány v ceně pobytu.